I like to either roast the butternut squash or make a soup out of it. Every time, when I roast them I try to add different seasonings and spices. Once, I added Asian seasonings and roasted them, it was delicious. So, this time seasoned diced butternut squash with paprika, ground cumin and garam masala, roasted them till they got golden brown. 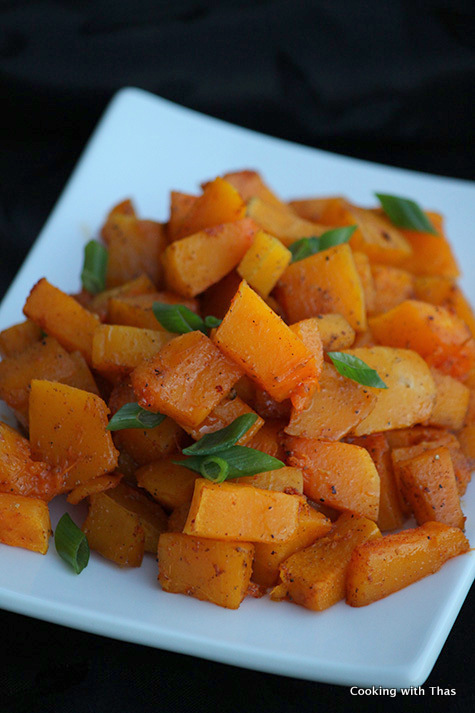 I love the caramelized buttery flavor of the roasted butternut squash. Other butternut squash recipes, click here. Peel the skin off the butternut squash and dice them evenly. 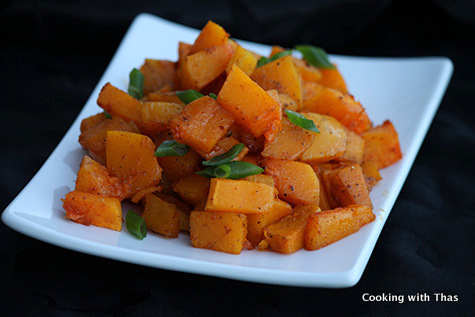 In a bowl, combine the diced butternut squash along with all the above mentioned ingredients except green onions. 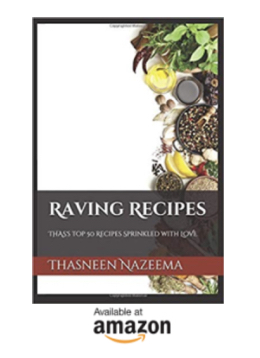 Line a baking sheet with aluminum foil, grease with non-stick cooking spray. Spread the seasoned butternut squash on the baking sheet. Keep the baking sheet in the oven and roast for 40 minutes till the squash turns golden brown in color. Remove from the oven, sprinkle chopped green onions over them. Serve as a side dish and enjoy.